We invite you to our Concerts in Solidarity. This time we arrive to the second cycle and donations will go to the Caritas Program site for people with disabilities and their families. The venue of these concerts? 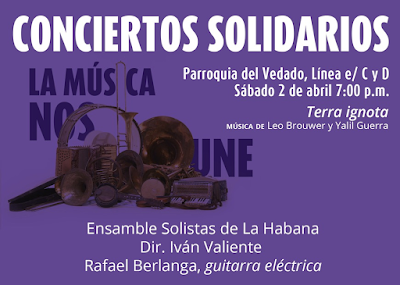 From the beginning, Vedado Parish has been allied, becoming host of this cycle that includes the Office of Leo Brouwer for the first time in its programming for the 2016-2017 period and recovering a long tradition of organizing charity events in Cuba. Renowned musicians will donate their performances, joining the Network of Solidarity Artists. 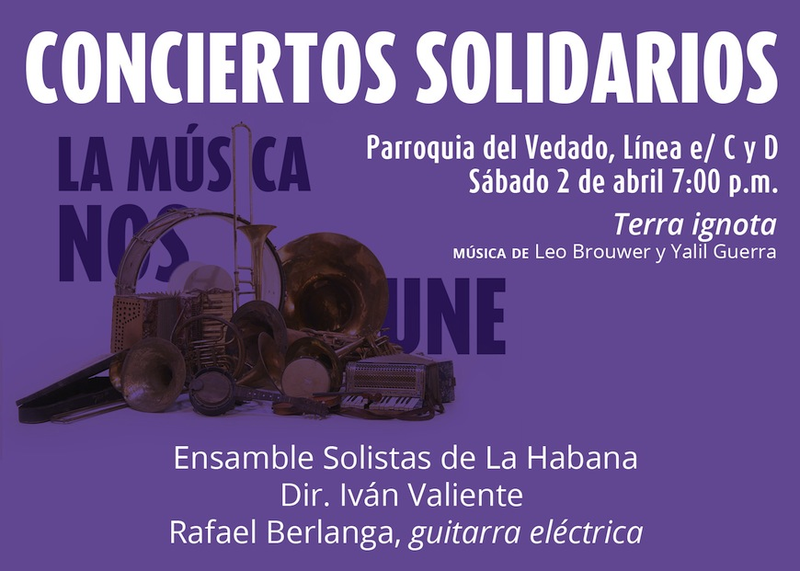 These concerts are aimed to benefit the most vulnerable people and groups of Cuban society, from children with physical and mental disabilities to seniors living in precarious situations. They need us. You can donate anything from money to medicines to toys. Saturday, April 2, 7:00 p.m. (we recommend arriving 30 minutes before) Vedado Parish. Ensemble Soloists of Havana. 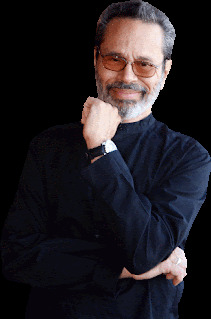 Ivan Valiente, Director. Rafael Berlanga, Electric Guitar. 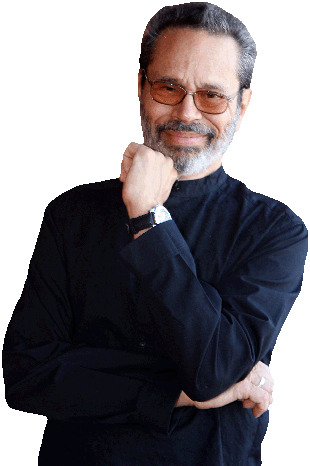 Music: Leo Brouwer and Yalil Guerra. We await you!